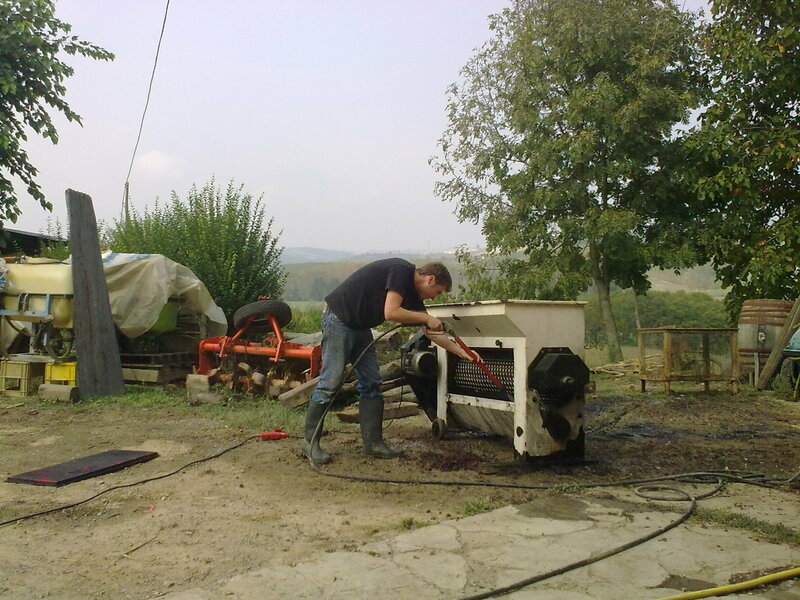 Natural Wine Making in Piemonte Part IX – "Time to Press!" 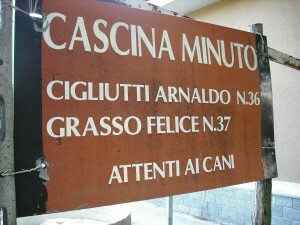 Natural Wine Making in Piemonte Part VIII – "All Well!" The “Felice” Nebbiolo wine is fermenting perfectly now. 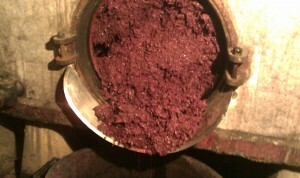 As of today, it’s been macerating on the skins for 3 weeks. Only one day with (3) pump-over’s. With 2 pump-overs the next day, and two more the following day… that’s it for the pump-overs. Then Wednesday of last week (14th of October), the cap was pushed down. Wooden 4×4 planks were carefully placed on top of the cap, pushing it down a few centimeters, then the must was topped off. 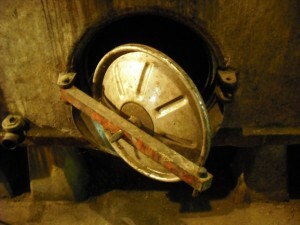 This technique helps the cap stay below the surface to avoid unwanted (volatile) aromas. The wooden planks were of a special type of wood found in the local river. 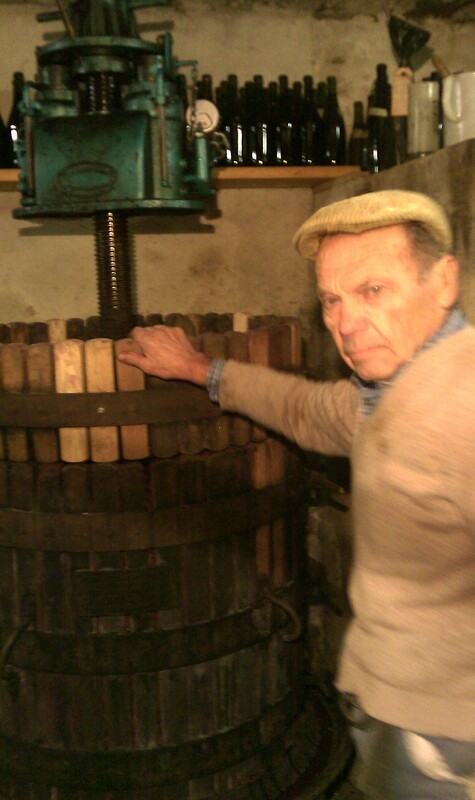 This type of wood is not normally found in the area, and is important to mention that it’s neutral and adds no flavors to the wine. The planks were wet with the wine and dried before use. Everyday approximately 10 litters has to be added to the must and topped-up because of the CO2 compacting the cap. 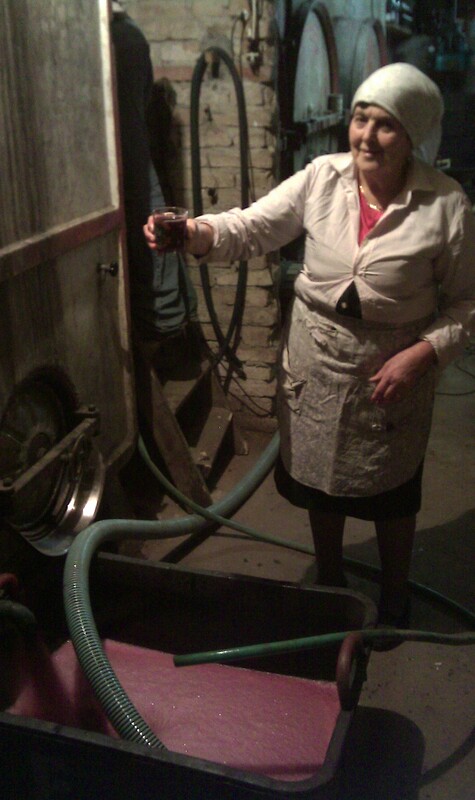 The small cement tank has been “svinato”, pressed and the wine from this tank (the same wine of-course) is now being used to refill the to big cement tanks. Now it’s only the two big cement tanks. Igino Garberoglio is checking on the wine 3 times a day. Jørgen is overseeing our project since he now lives in Italy. 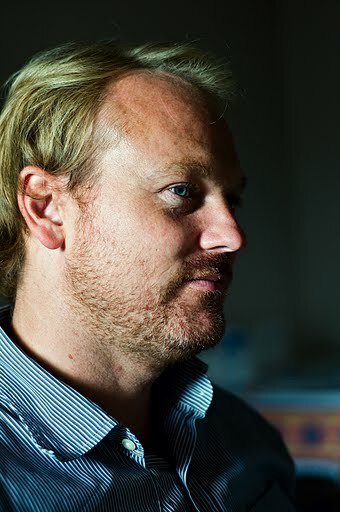 Born in Norway in 1974, Jørgen Ljøstad in my opinion is one of the greatest palates Norway has today. 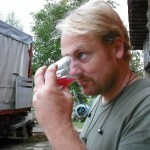 His interest in wine blossomed while working at the Michelin-starred Bagatelle in Oslo, Norway from 1997-2000. 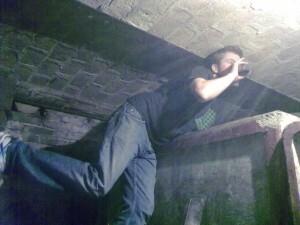 He studied for and passed his Sommelier exam in 2003 (which, believe me, is quite difficult in Norway). 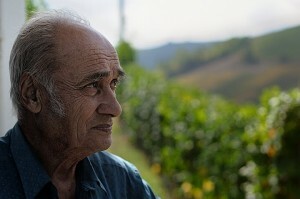 He then worked for 22 months in a well-known cellar in Barbaresco. When Jørgen came back to Norway, he landed a job with a well-established importer, Moestue Grape Selectons where he remained for a year and half until the Wine Monopoly head-hunted him. He went to work for the Wine Monopoly where he was the Portfolio Developer responsible for all wines from Italy, Portugal and Spain. In 2007 Jørgen left the Monopoly to co-found the Norwegian-based import company Non Dos AS. 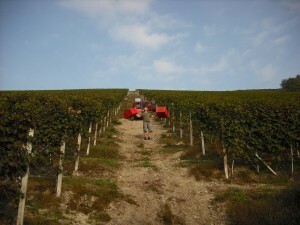 Today we woke up around 7:30 to harvest the last of the two vineyards, doctor the Basarin. The Basarin vineyard is located in Neive, (Barbaresco commune) and is owned by Vittorio and Marco Adriano of the Azienda Agricola Adriano. 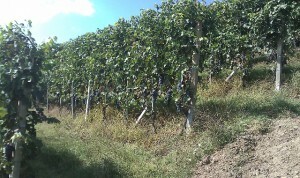 The vineyard is quite steep at 40% and is facing South East. 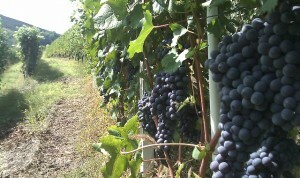 In total we harvested 2863 kilos of grapes from this vineyard which took us around 3.5 hours. 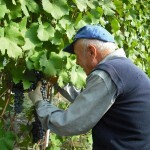 Compared to the Felice vineyard, it was easier to harvest because the grapes were more easily accessible on the vines and there was a little less selecting necessary because overall, they were healthier than the Felice grapes. The Nebbiolo vines in this vineyard are actually clippings from the Felice vineyard and were planted here in around 1993 (compared to 1971 for the Felice). 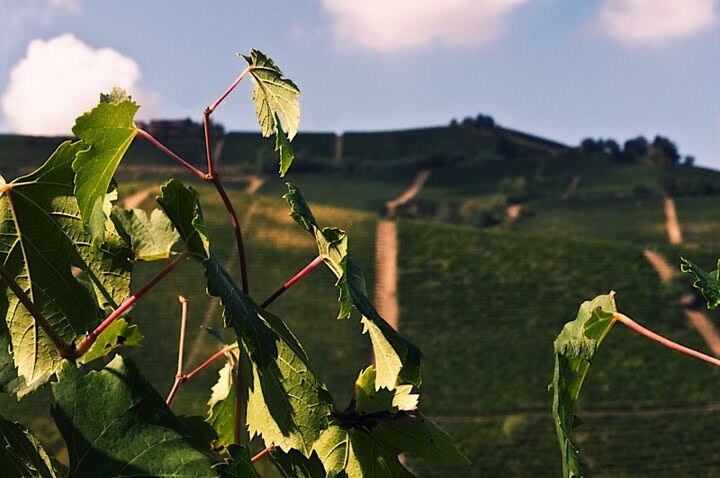 Due to the difference in location and soil and overall “terroir”, we found the grapes from Basarin to be more structured, with more tannins and acidity than the Felice grapes which were more feminine and elegant. As soon as the fermentation really begins and the alcohol starts to go up a bit, we will pump over (gently) and blend so that the two vineyards are fermented together. In our opinion they will better integrate if they are blending during fermentation rather than blending post fermentation. The idea here is to get the elegance and femininity from Felice and structure and tannins from Basarin. So far we are very pleased with the fact that we’ve had spontaneous fermentation with indigenous yeasts without the use of sulfur! After our lunch break, we put the grapes into the destemer and pumped the grapes into our second cement container of 25 hl. 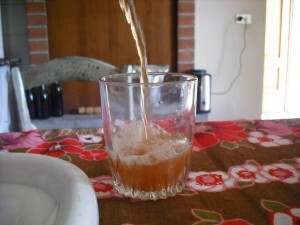 Before doing this, we added about 500 liters of fermenting must from Felice as a starter. The 25hl tank quickly filled up so we pumped the rest of the grapes into a 750 liter open top plastic container, exactly like the one Frank Cornelissen uses in Mount Etna. To this plastic container we also added about 50 liters of the fermenting Felice vineyard juice. 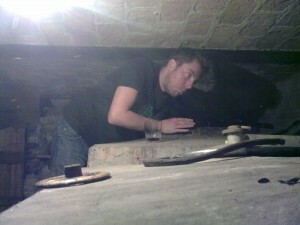 We also took the opportunity to taste the juice from the first cement tank containing the Felice grapes… Very good indeed! Hints of alcohol starting to show (most likely only 1% at this point). It was super sweet and even had some mild tannins already. 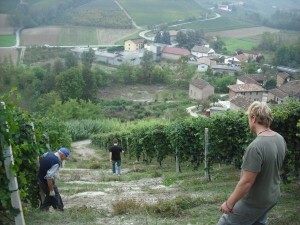 Harvesting Nebbiolo in Basarin Vineyard in Barbaresco from vinosseur on Vimeo. 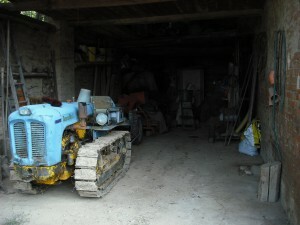 Sunday was another quiet day – Cleaned the destemmer and prepared for tomorrow’s second harvest. Lunch at Carussin where we drank another wine made by Igino Garberoglio– a 1985 Barbera d’Asti bottled the year that his grandson Luca was born. If you are following these latest posts, you know that the wines of Igino are not labeled, but this was a special label he made for this bottle. Most likely not stored in the best of conditions since it was in the dining area of the Carussin house. This being said, it was still quite fresh, acidic and full of life with slight oxidative notes – very drinkable indeed. 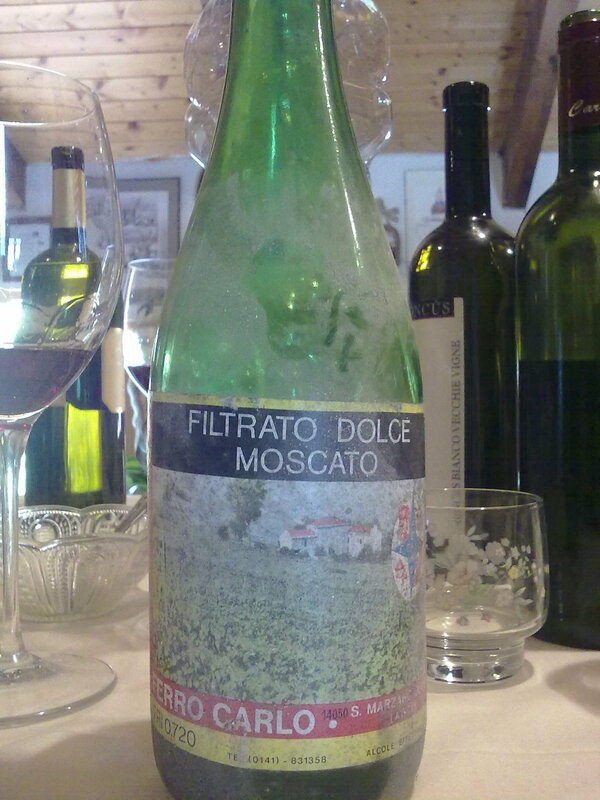 We also had the chance to taste a spontaneously fermented Moscato d’Asti from 1984 made by Bruna’s uncle Carlo. 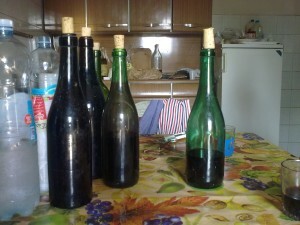 Bottled in the then typical 720ml bottle (compared to today’s 750ml wine bottle). Smelled of steel, oxidized honey and hints of caramelized lemon peel. Similar flavors were found on the mouth with still a slight sparkle left. A bit over the top, but interesting to taste none the less. This was stored in the Carussin cellar. After lunch went back to check on our freshly fermenting wine and moistened the cap – the “protective” layer of grape skins that forms on top of the grape juice. As the juice begins to ferment, it expands and the cement tank which was about 80% to the top has now risen to about 95-98% full. 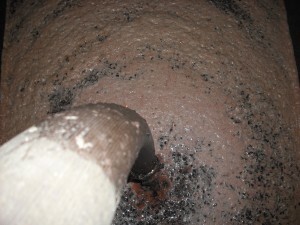 As wine ferments, carbon dioxide is released. To confirm the wine has begun fermenting in the early stages, one can light a candle or match and bring it down towards the fermenting grapes and it will burn out due to the lack of oxygen. 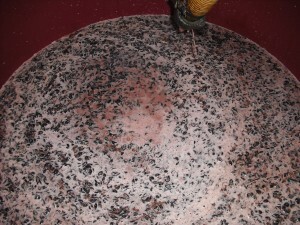 Once the wine really begins to ferment there is no mistaking as the bubbling sound will be quite loud! After moistening the cap, Igino pulled out another of his wines – a Brachetto vinfied dry and without bubbles! Normally a Brachetto is a sweet sparkling wine that has about 5-6% alcohol by volume and is very enjoyable with fresh strawberries. This version was completely dry and had no bubbles. Very interesting indeed with the typical Brachetto aromas of wild strawberries and Campari but very dry and around 12% alcohol. 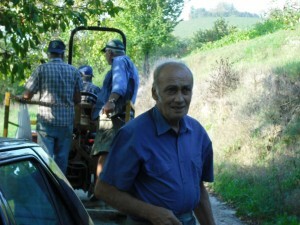 We then headed back over to Carussin’s and cleaned the containers for the harvest of Basarin tomorrow morning. 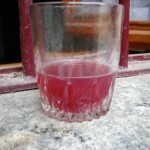 Natural Wine Making in Piemonte Part V – Fermentation! Fredrik, AKA "Frisbee" checking out the freshly fermenting Nebbiolo must! 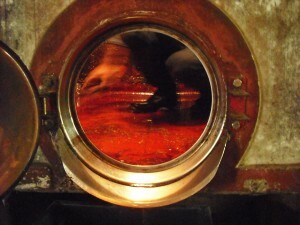 Fermentation begins spontaneously after 24 hours! Yeeehaaa! 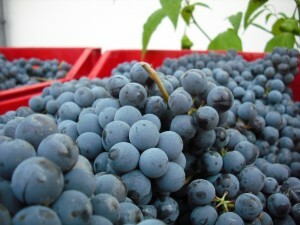 It couldn’t have been easier than simply sourcing healthy grapes that have been grown in an organic manner, hand harvested/selected and crushed. The rest we left up to mother nature! Simple! 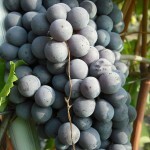 Pump up the volume and click the “Fermenting Nebbiolo Sounds” below and hear for yourself! 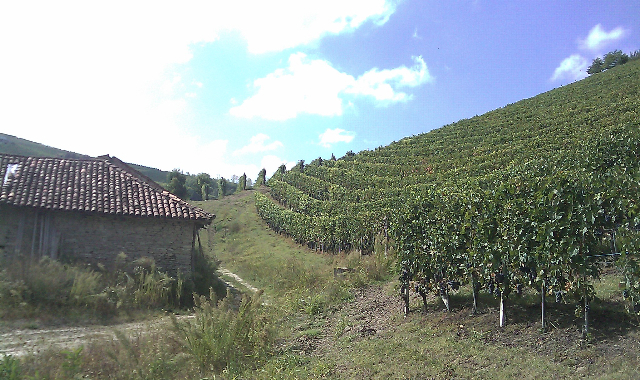 Today we’re on our way to harvest the Felice vineyard in San Rocco Seno d’Elvio (Barbaresco commune), owned by Felice Grasso. Our part of the vineyard was the part that was higher up. We were to harvest approximately 0.7ha. It was a beautiful, warm sunny day. Fortunately we had the help of about 4 others, so in total we were 7 people up until lunch time. 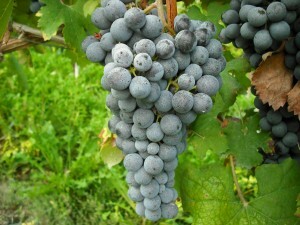 The grapes were beautiful and extremely healthy. There was barely any rot, I would say less than 0.5% (perhaps even less). 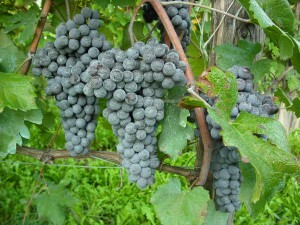 The grapes were juicy, balanced and extremely healthy. Jørgen, one of the leaders of this wine making project, had harvested this vineyard before, but it had been around 10 years ago. In his opinion, it was one of the finest vineyards in the Barbaresco area producing extremely elegant wines. 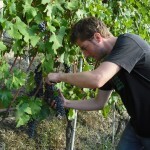 During the days leading up to the harvest and including the day of the harvest, Jørgen had made numerous phone calls to other wine makers to pose the sulfur question. They pretty much all had the same thing to say: you should use some sulfur at the very beginning to help the fermentation begin in a healthy way. However, we really wanted to make this wine without the use of any sulfur at all, so during lunch we decided that because the grapes were so healthy, we would take the risk and let the grapes begin fermentation spontaneously without the addition of sulfur or yeast. 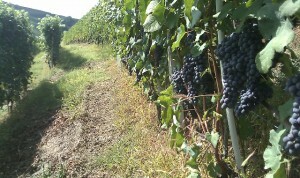 After lunch, we headed back to the vineyard to finish the harvest. 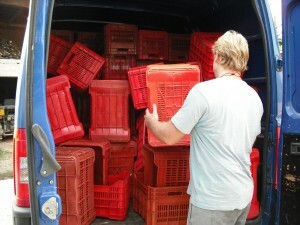 We finished at around 18:00, carefully piled the containers in the truck and headed to the scales to weight the grapes. 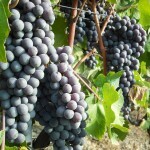 We had harvested approximately 3600 kilos of healthy grapes from the 0.7ha vineyard. This would give us about 2800 bottles of wine from this vineyard alone. We then drove the grapes back to the winery where we would make this wine. 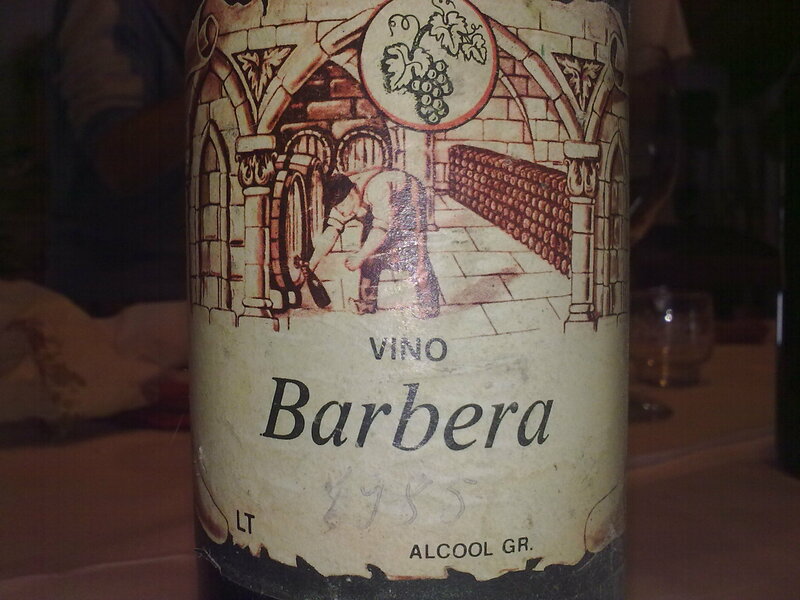 Since the winery was not in the Barbaresco commune (it was in the Asti commune) we could not label this wine as a Barbaresco DOCG. 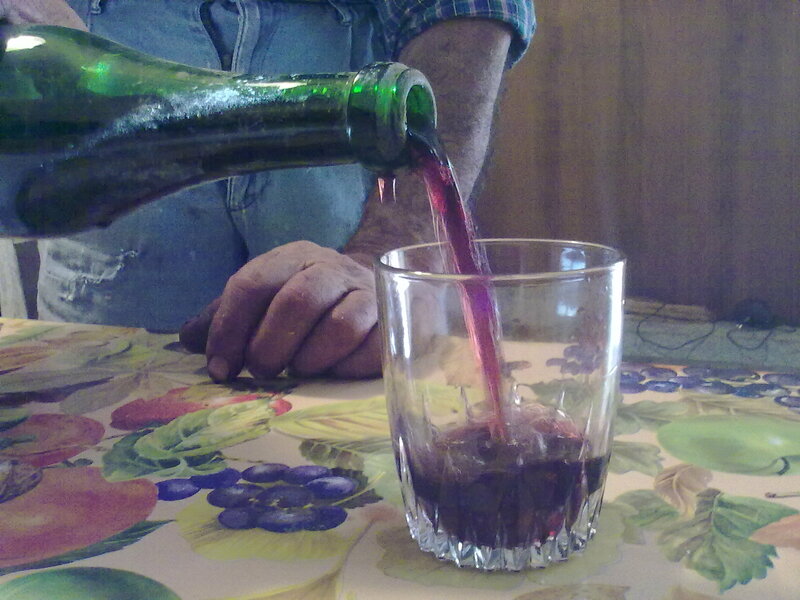 In fact, this wine is going to be a VdT (Vino da Tavola). On a Vdt wine label you are not allowed to put the name of the grape or the vintage. Once back at the winery we started to dump the containers into the small destemer. This machine removes the grapes from the stems and “crushes” them lightly. The grape must was then pumped down a tube into one of the cement containers. 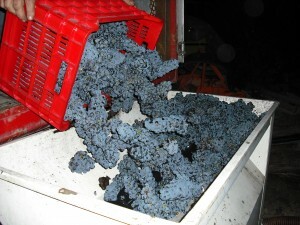 We filled the 30hl container and part of a 7hl with this harvest. The must was beautiful and sweet. We partly filled a wine bottle with the must to be analyzed the next morning for the potential alcohol. Now all there is left to do is to wait for the grapes to spontaneously ferment which should happen tomorrow or the next day. 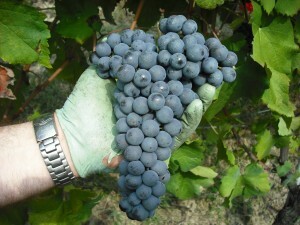 Harvesting Nebbiolo in Felice Vineyard in Barbaresco from vinosseur on Vimeo. I want to apologize for the amount of time it has taken me to post part III of this story. We have major difficulties connecting to a wireless service. But alas, cialis here is Part III. There will be more parts to this story, dosage so be patient as I will post them as soon as possible! 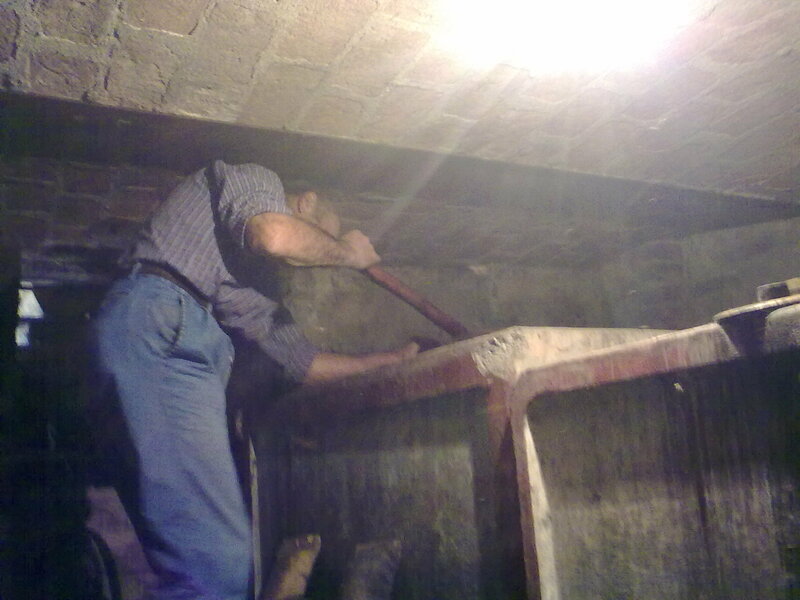 We started the day around 10:00 by cleaning three cement (30hl, 25hl & 7hl) tanks located in a wine cellar dating to around 1880. We used a high powered water hose to rinse them and a brush to get them really clean. 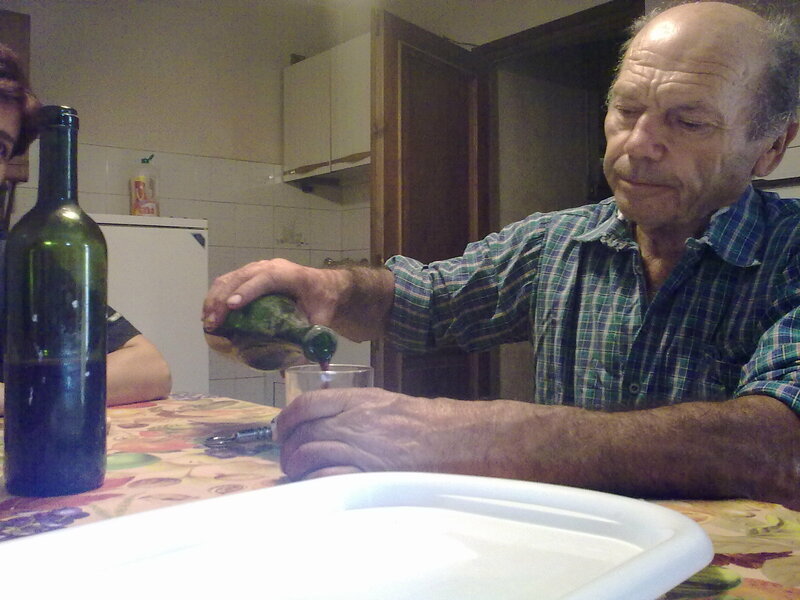 After completing the cleaning of the tanks, we sat down for a small break with Igino and he poured his 2007 Favoirta for us to taste. This was a white wine with about 15 days of skin contact so it was orange in color. It sparkled as he poured it into our glass. The wine was not so aromatic on the nose, perhaps it was the glass we used. But on the palate, the wine had great depth, a medium tannic structure, a slight sparkle and an alcohol in the area of about 14%. The wine was bone dry and really long and quite interesting. He only made 60 bottles. My favorite of his wines so far. After lunch, we took 160 plastic containers (with a capacity of 23 kilos each) and dropped them off at the “Felice” vineyard so that we would have them ready for our harvest tomorrow. The vineyard is in San Rocco Seno d’Elvio, Barbaresco and is perched up a small hill behind the house of Felice Grasso, the vineyard owner. It was planted in 1971 when he got married. 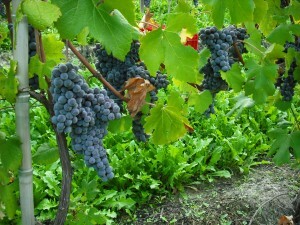 The vineyards are cared for organically. 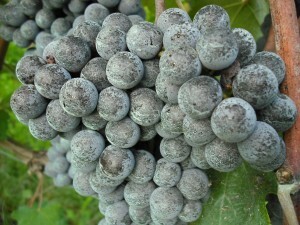 A small amount of copper and sulfur (the Bordeaux mix) was applied three times throughout the year. Last time was over two months ago (by law in Italy you cannot pass through the vineyard with the Bordeaux mix within 28 days of harvest). 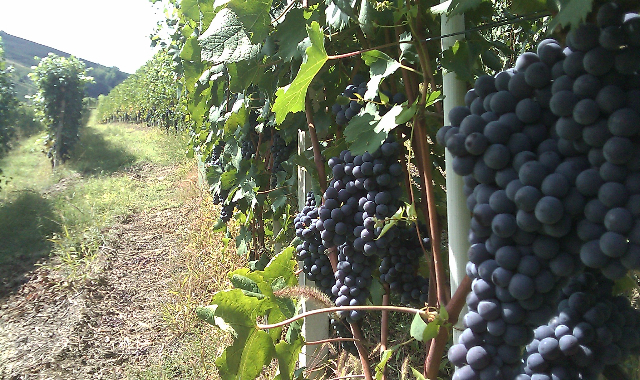 We tasted the (free of pesticide) Nebbiolo grapes and they were excellent. Sweet, acidic and tannic. Ready to go! That evening we had a big family dinner with everybody since Igino’s wife Irma was celebrating her 73rd birthday!